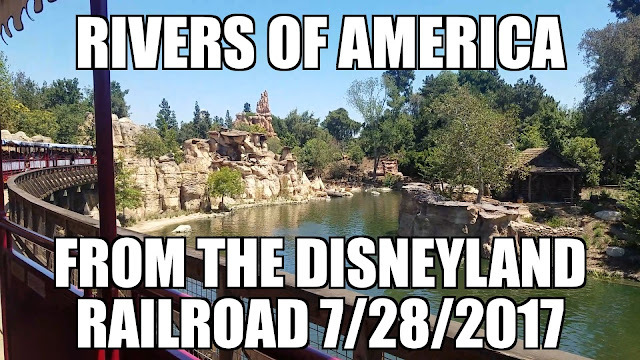 One of my favorite things to do at Dapper Day is to see what everyone else is wearing! Here are some of my favorite Dapper Bounds from Fall Dapper Day 2018! Since I went as Dapper Spider-Man it should come as no surprise that I mostly took photos with other Dapper folks in Marvel-ous Bounds! We start first with my lovely friends the Cosplay Parents who went as both Mickey Mouse and Mickey Mouse for his 90th Birthday this year! 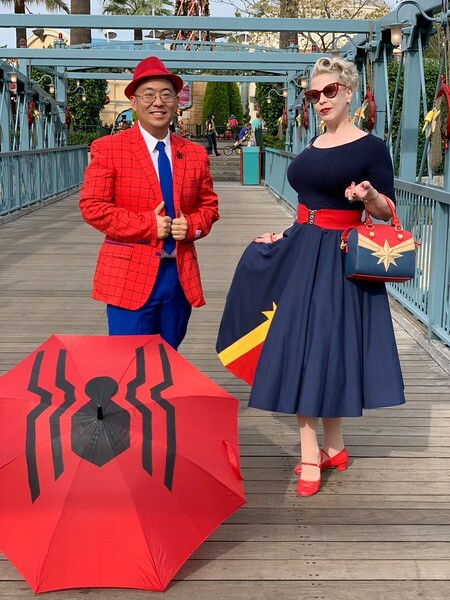 The first Marvel Dapper Bound I encountered was this fantastic Captain Marvel! Look for Captain Marvel in theaters March 2019! 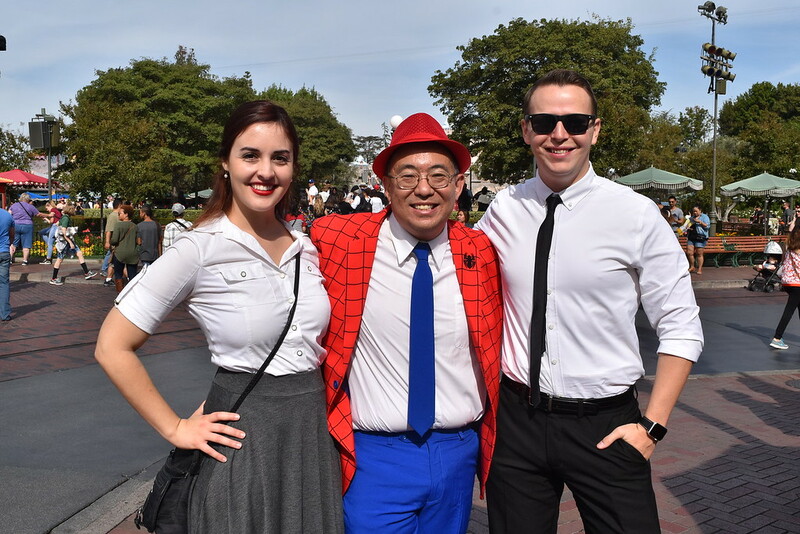 Ran into my lovely friend Sara and her boyfriend who were Dapper Bounding as that super adorable couple from the Disney animated short Paperman. 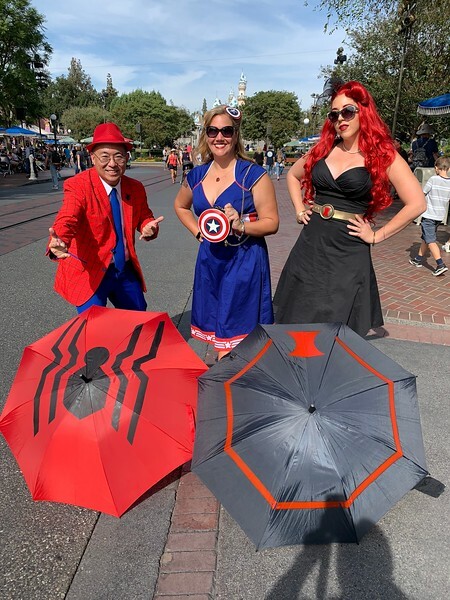 I had to stop and take a photo with this amazing Marvel-ous family! 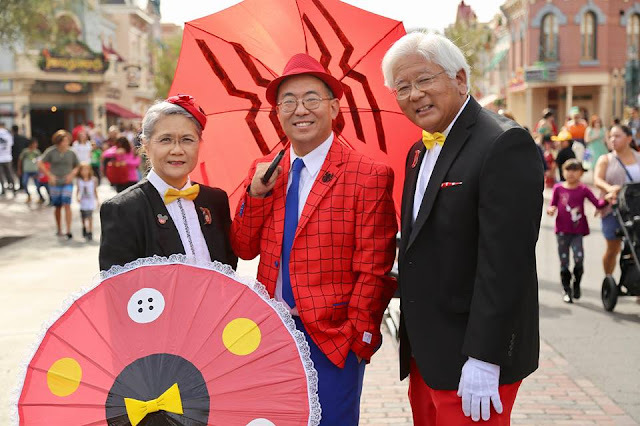 You have Spider-Man on the left, then Black Panther, then probably the cutest Thanos ever and then Captain America! 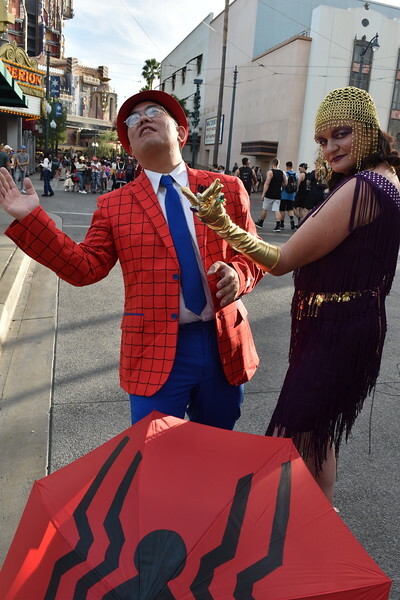 Ran into my friend Nolan who was Dapper Chernabog! 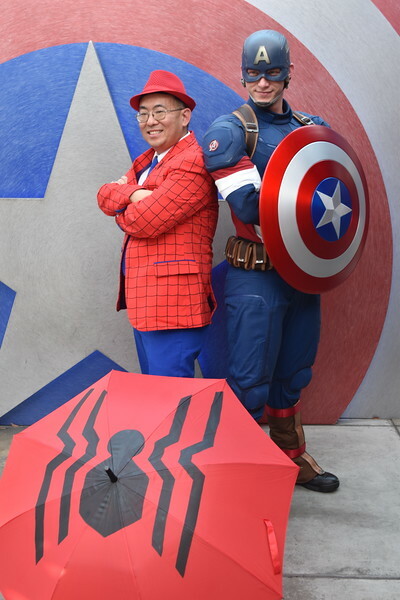 I love these Civil War Dapper Bound Captain America's! 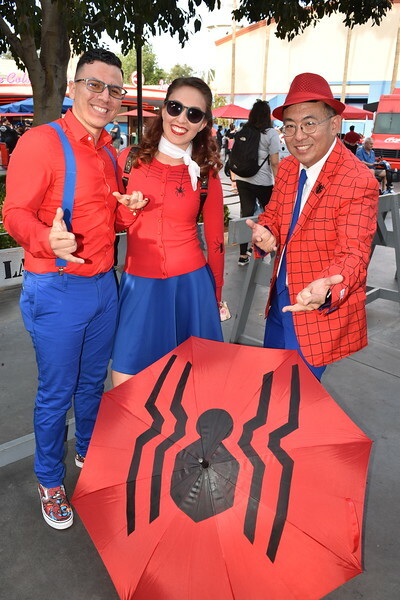 Ran into more Spidey friends! 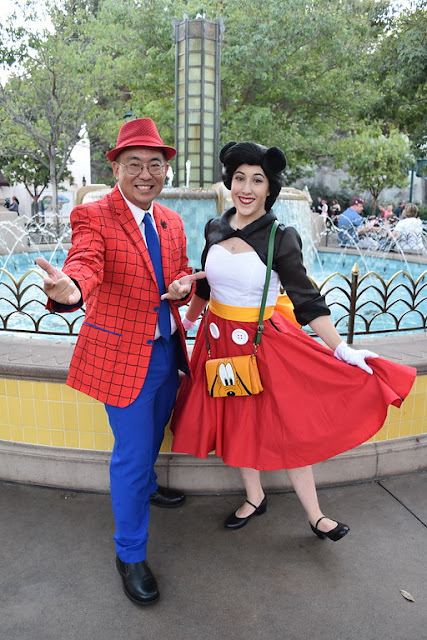 Love running into my lovely friend Mikayla who was Dapper Mickey! 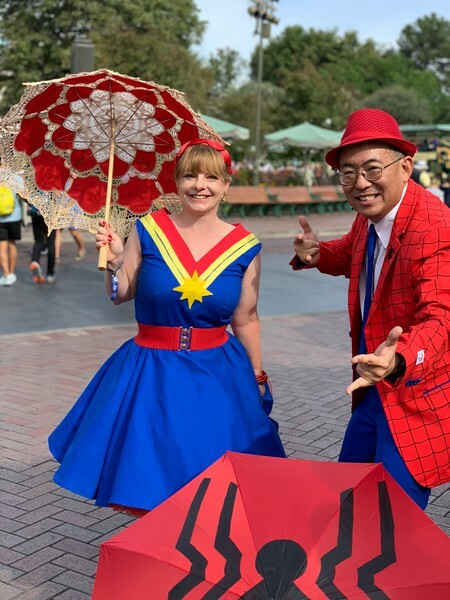 Another wonderful Dapper Captain Marvel! 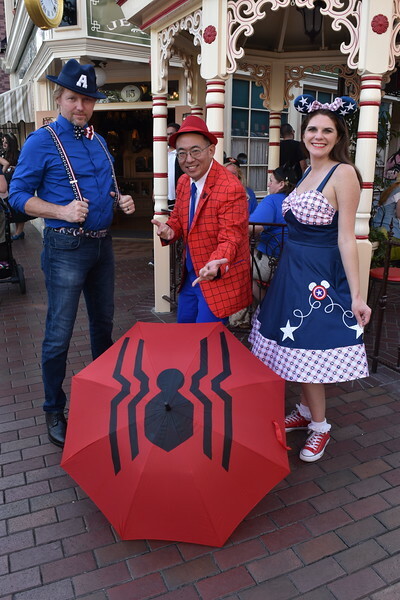 Dapper Spider-Man meets Dapper Captain America and Dapper Black Widow! 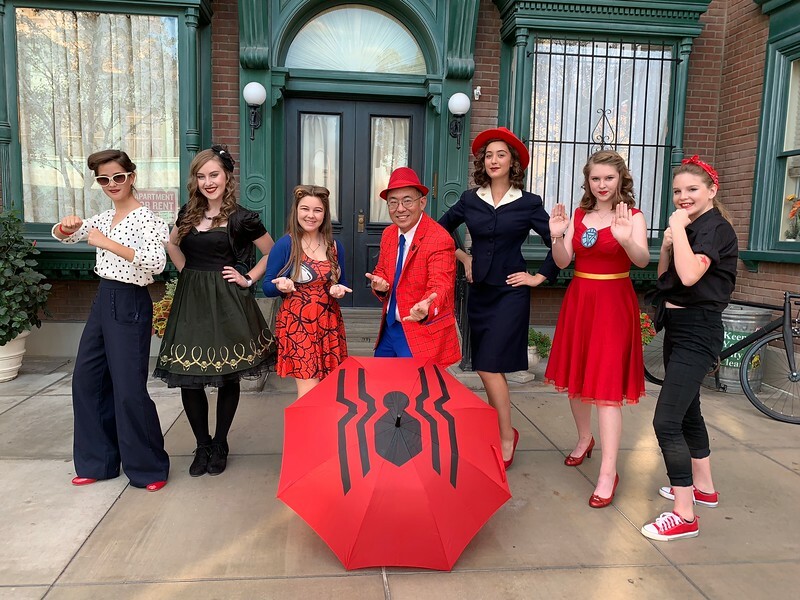 Ran into these Marvel-ous ladies! 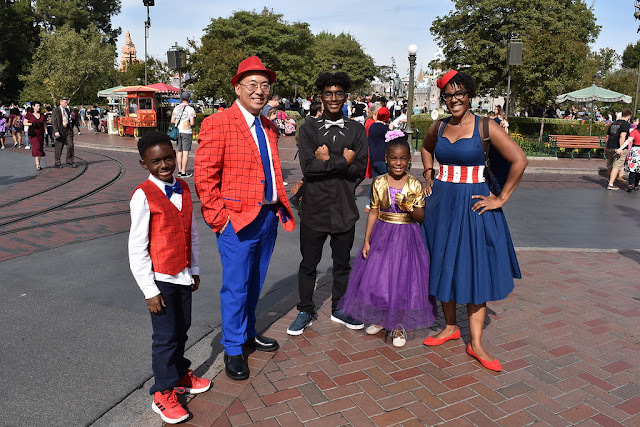 Ran into Captain America! 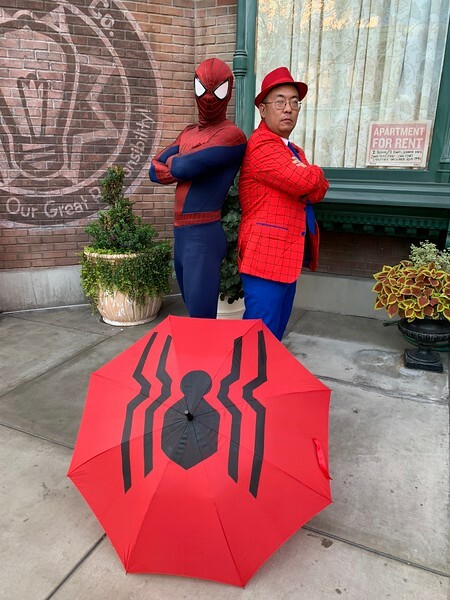 He wasn't mad that I stole his shield! 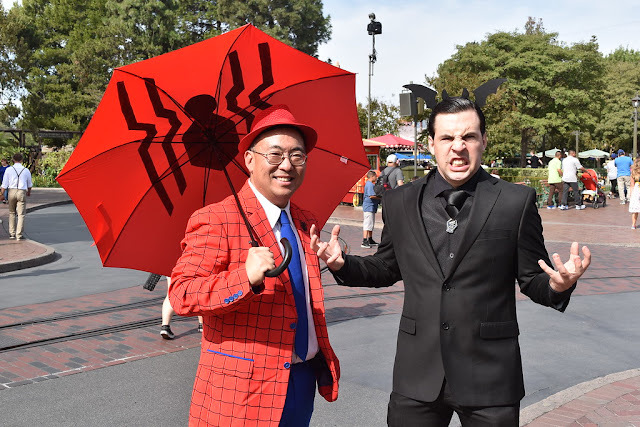 Even Spider-Man loved my spidey suit! 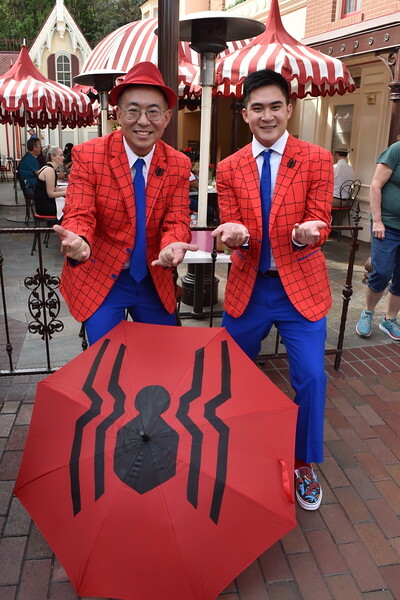 Dapper Spider-Man will return to Disney California Adventure in 2020 when the next phase of Marvel attractions opens in the park!